New Delhi: Footwear brand Neeman’s had partnered with The Woolmark Company – the global authority on wool – and has launched a range of shoes made from Merino wool. Neeman’s is India’s first footwear brand to use the natural, renewable and biodegradable fibre in its shoes. The eco-conscious company is leading a culture of sustainability and comfort in the footwear space in India. 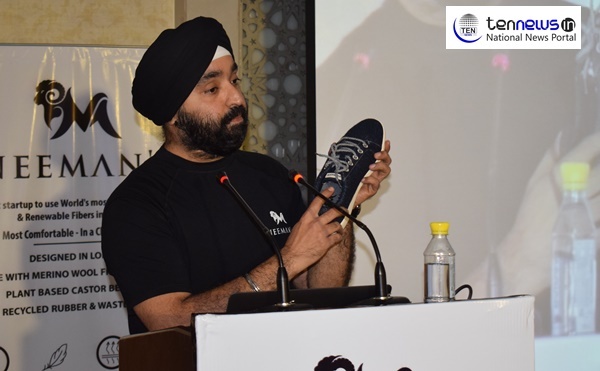 Co-founder of Neeman’s Amar Preet, Ajay Pradhan, Marketing Manager of The Woolmark Company and Kiron Kaur, Marketing Manager of Neeman’s also spoke on the occasion. Neeman’s shoe collection comprises joggers, classic sneakers with a modern twist and simple yet elephant loafers, in subtle colours and fit for all occasions. Neeman’s is India’s first shoe brand to use a natural, renewable and sustainable fibre in its shoes.